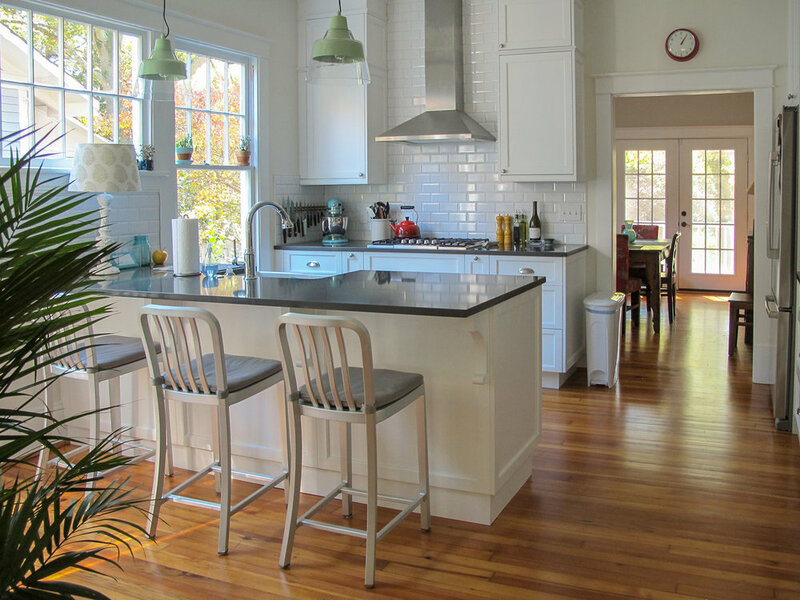 Phase 1 of this North Carolina project remodeled the interior within the existing building footprint to create a more functional kitchen and reconfigure the bedroom wing to add a powder room, laundry and update the full bath. Phase 2 is currently under construction to add onto this historic bungalow. Situated on a sloping lot allowed for walk-out living space beneath the 850 sf addition on the main living level. 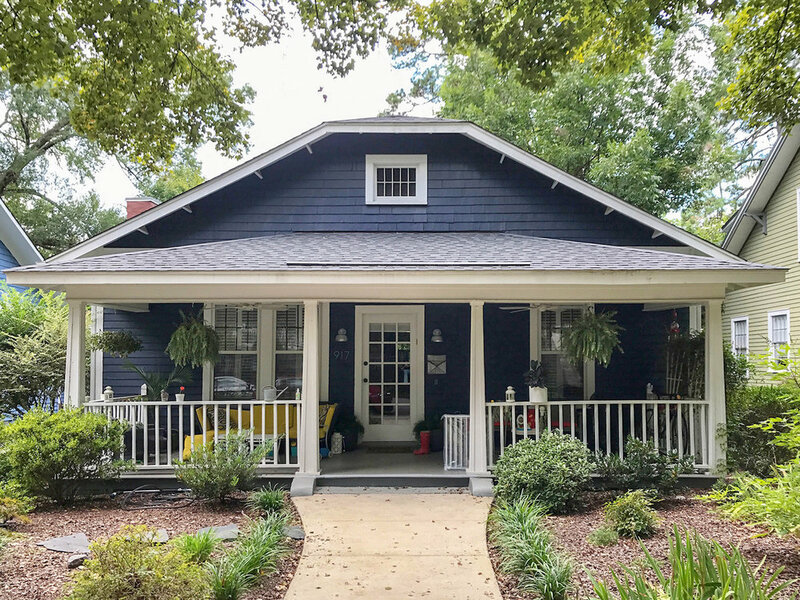 Located in Raleigh’s Boylan Heights neighborhood meant presenting and being granted approval from the Raleigh Historic Development Commission along with acquiring the standard building permit. The addition includes a master suite, family room and new stair down to a walk-out rec room, guest suite and owner’s boat fabrication workshop.